“Some are born great, some achieve greatness and some have greatness thrust upon them,” wrote Shakespeare in Twelfth Night. Which category does cricketer Sachin Tendulkar fall under? If you ask many Indians, they will say Tendulkar was born great, but also earned his greatness. And it’s with this view in mind that a vocal campaign has been launched to anoint India’s star batsman with the Bharat Ratna – the highest civilian honor in this country. But there has been a mixed response. Press Council of India Chairman and former Supreme Court Justice Markandey Katju feels that sports and film stars shouldn’t be given this kind of award as they have “no social relevance.” It would, he argues, make a “mockery” of the award. 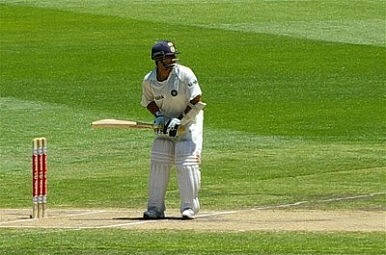 Even some of those who don’t have a problem with a sports star receiving the prestigious award question whether Tendulkar, despite his extraordinary achievements, has single-handedly transformed the fortunes of an Indian innings the way, for example, Brian Lara so often rode to the West Indies’ rescue. Tendulkar has posted a formidable total number of runs, but in his almost two decades of playing, how many match winning performances can people remember? Even when compared simply to other Indian players, has the “Little Master” taken the Indian team’s fortunes in his hands? He has undoubtedly played some excellent personal innings, but the great Indian innings that people remember are those such as the ones played by Mahendra Singh Dhoni and Virat Kohli in the final of the last World Cup (an occasion on which Tendulkar noticeably failed). And then there’s the question of why we should pick a cricketer? Why not shooter Abhinav Bindra, who brought India its first Olympic gold medal for six decades? In a sense, this debate reflects not the richness of our capabilities, but the poverty of talent in the country – a scarcity of national heroes.This nation of 1.2 billion people craves its own heroes, a Steve Jobs for example, who can influence the world. But in the absence of such modern icons, we are forced either to look back in history, or else to the cricket field, where we are competing against only a small number of nations. With this in mind, Katju talks of bestowing the highest national honor to those such as the great 19th century Urdu poet Mirza Ghalib. But such posthumous recognition, just like the rush to ordain Tendulkar, does nothing to address our existing emptiness. Sanjay Kumar blogs at Indian Decade.